The variety of our services is reflected in our projects. We provide not only comprehensive consulting services for different companies and organizations, but also initiate and participate in research projects. Since 2006 Rodlauer Consulting provides consulting services to the Austrian Federal Railways (ÖBB) for all questions relating to barrier-fee mobility. 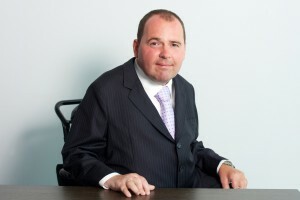 Managing director Mr. Rodlauer does not only hold the position of Corporate Coordinator for Accessibility but he also coordinates all initiatives and the dialogue concerning accessibility with different organizations of people with disabilities in Austria. On behalf of the Federal Ministry of Transport, Innovation and Technology Rodlauer Consulting organized and held nine stakeholder discussion meetings throughout Austria with the title ”Information, Dialogue and Action – Accessibility in Public Transport – Your needs are taken seriously”. 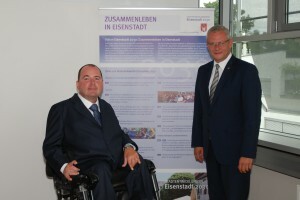 In the course of the “City development plan 2030” of the provincial capital Eisenstadt Rodlauer Consulting is substantially responsible for the development of the “Staged plan Accessibility and Inclusion in Eisenstadt”. The aim of the project was to compile and establish a basic strategic orientation on Accessibility throughout the German Saving Bank Association. Besides raising awareness on top management levels as well as among the 37.000 employees of the regional branches, specific strategies were developed in order to assure barrier-free access to all banking services. In cooperation with the University of Vienna and SYNYO, Rodlauer Consulting is currently conducting a research project funded by the benefit program of the Austrian Research Promotion Agency (FFG). The aim of the project is to create an internet platform that provides comprehensive information on assistive products and services for elderly people as well as people with disabilities and reduced mobility in Austria. On behalf of the Vienna Economic Chamber Rodlauer Consulting conducted a study on the situation of entrepreneurs with disabilities in Vienna. The aim was to study define requirements of entrepreneurs with disabilities. Existing services for this target group were evaluated and recommendations made as required. The research study was made on behalf of the Association for supporting mobility in Osttirol. The research study analysed the demand of mobility as well as possibilities in East Tyrol concernig this topic. Rodlauer Consulting supported ÖHTB with the quality management by performing test drives and evaluations of the service on a regular basis.